Do you lack confidence and suffer from low self-esteem? Is it difficult for you to look in the mirror, and love the image that you see simply because your clothing doesn't compliment your body type? 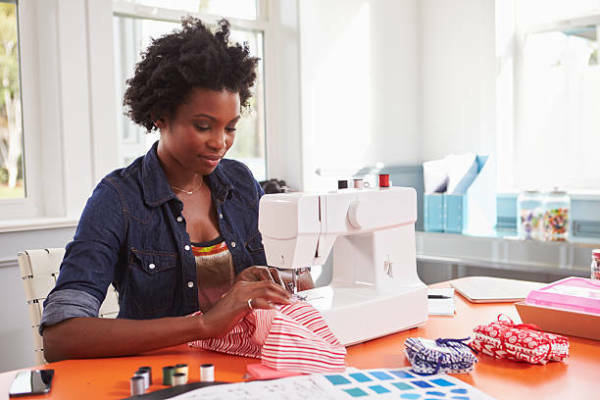 Learning the art of sewing and garment construction will build your confidence and self-esteem as you create chic fashions tailored to your unique body type. Even without any previous experience, YOU CAN learn to sew beautiful custom garments for yourself. Do Want To Take A One Day Intensive Class? Are you interested in learning how to sew your own garments but can't commit to the 4-week evening course? Register for our 1-day intensive class held on a Saturday from 10:00 a.m. - 5:00 p.m.